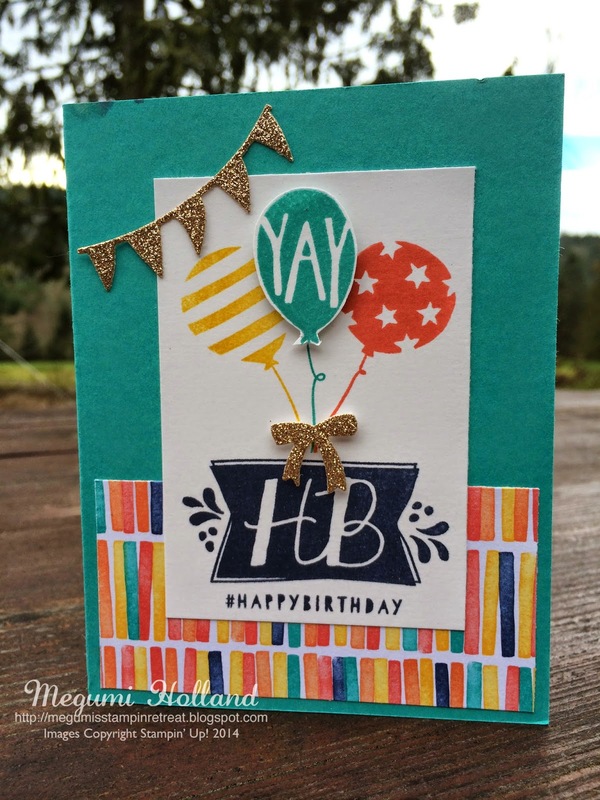 Here is one of the make and take projects from my Spring Catalog Open House featuring the Balloon Bash Stamp Set. I love these bright colors (Bermuda Bay, Crushed Curry, Tangelo Twist and Night of Navy). 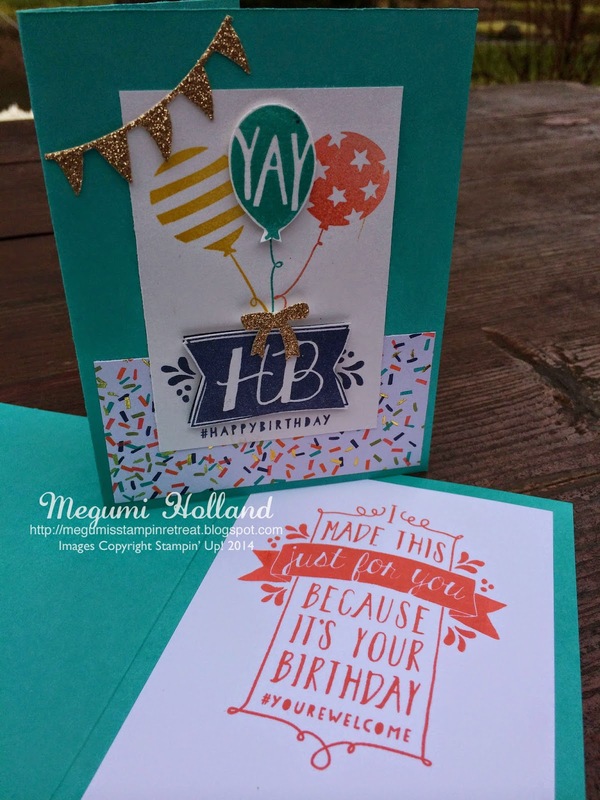 I picked these colors from the Birthday Bash Specialty Series Paper. To embellish the card I added the banner and bow die cuts using the Balloon Framelits Dies and Champagne Glimmer Paper. Aren't they so cute??? Thank you for stopping by today. I have more make and take projects from my open house to share with you. Make sure to come back again. Have a great day!! !